Welcome To The ONLY Garra Rufa Fish Spa In CYPRUS. Take care of your body, it’s the only place you have to live. To keep the body in good health is a duty otherwise we shall not be able to keep our mind strong and clear. We are proud to announce the opening of the First Gaffa Rufa Fish Spa in Cyprus, situated at the KG Spa within the Cypria Maris Hotel in Paphos. The staff at the Garra Rufa Fish Spa has extensive experience and are fully trained in all our Health & Beauty treatments and speak English, Greek, Russian and French. Are you looking for something different to do for your Hen Party? Does the sound of relaxing and being pampered sound like bliss? Then book yourself and the girls a Spa Day Hen Party! If you feel good about your body, you feel better about yourself and the world around you. 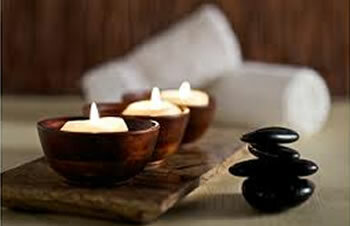 So, relax your muscles, restore your mind, keep your beauty and youth and feel completely at ease. Kristina, the owner of KG Hair & Spa Center has used her years of experience in the spa industry to design the Garra Rufa Fish Spa and to provide a relaxed environment that promotes harmony with body and mind. I found the fish spa by chance, when I was on holiday in Paphos in April. 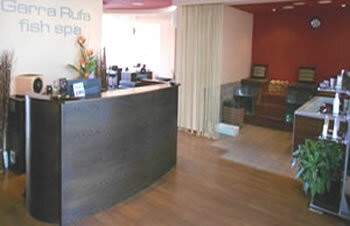 I was very satisfied with the treatment and would like to recommend the procedure to everybody. I was there 4 times and felt "like new"
We visited the Paphos Fish Spa as a surprise birthday present for a friend, there was five of us and we all had different treatments. I had my hair cut and coloured and was very happy with the result. The other girls had massages and the fish spa. They were very nervous about the fish spa but said it was fantastic. Great place to go with friends to celebrate and get a pampered.